This week at the Disneyland Resort there was a lot going on. Halloween Time continues to be celebrated and preparations are underway for the Holiday Time celebrations which will be beginning very soon! 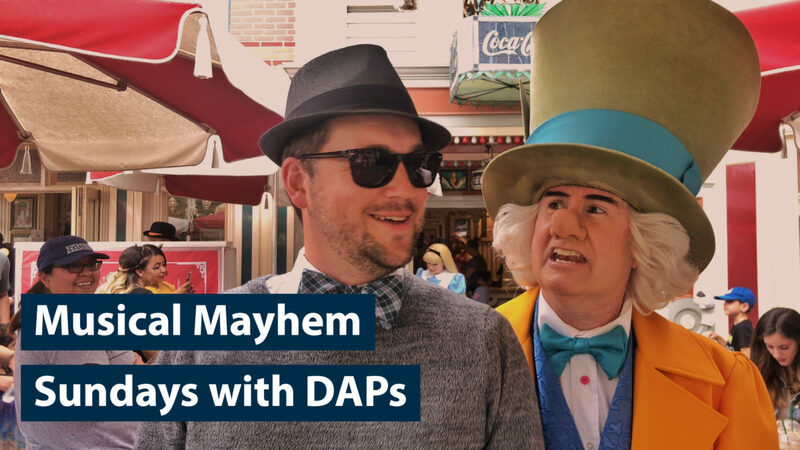 For the DAPS MAGIC team, this made for some interesting photo opportunities and fun experiences throughout the day. The day began by watching Mickey and the gang dance in front of Main Street Station in Town Square. This is always a fun and energetic way to get the afternoon started as the DAPS MAGIC team comes together. 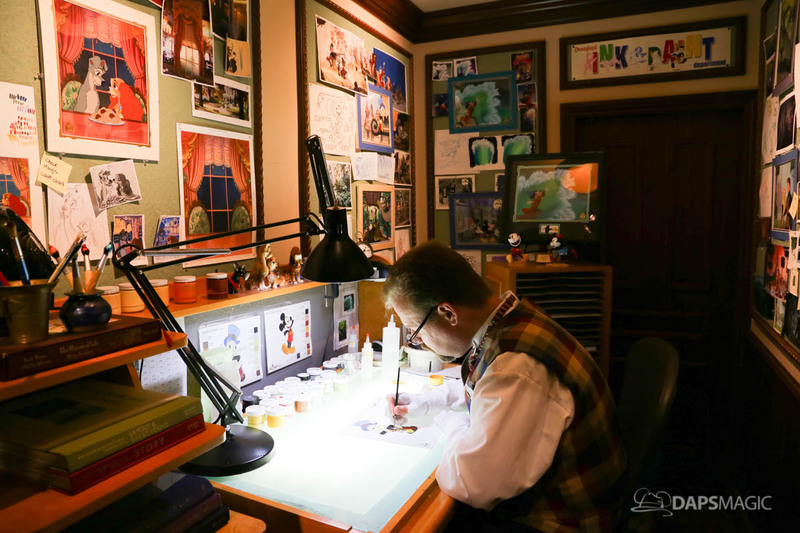 The next stop was the Disney Gallery to see some of the Ink & Paint artists hard at work. This is such a fascinating process that is fun to see as it carries on a piece of the Disney legacy. Then it was time for coffee from the Markethouse (Starbucks) on Main Street, USA. Seeing as the end of Halloween Time is drawing to a conclusion and Christmas is coming, it seemed only appropriate to take this week’s #dapscaf2018 in the Hub and showcase both holidays. The coffee photo taken, it was decided to go sit at Coke Corner so some of the group could snack. While there it turned out to be time for Musical Chairs with the Mad Hatter, Alice in Wonderland, and Ragtime Noel the piano player. The game was wacky as always and a lot of fun to say. This is where we decided to shoot our Sundays with DAPs video, that clearly did not go as planned as you can see below. After what turned out to be an adventure filming Sundays with DAPs after Musical Chairs, it was decided to go for a cruise on the Rivers of America aboard the Mark Twain. This is often a Sunday favorite. It is fun for people watching and also to see the progress that is going on with Star Wars: Galaxy’s Edge. It really was a perfect day for a cruise and it made for a very relaxing voyage. Following the cruise, we wandered towards Fantasyland and stumbled upon the Pearly Band about to board King Arthur Carousel. This was fun as they played some music from Mary Poppins and then Disney-Pixar’s Brave. With the Pearly Band done performing on the carousel, it was decided to go and check out the last performance of Jedi Training: Trials of the Temple before it goes away. As always, this show was delightful to watch with humorous moments and of course some awesome Star Wars moments!